Uniondale, NY, March 28, 2019 – Kathleen Deegan Dickson, a partner in the law firm of Forchelli Deegan Terrana LLP, has been selected as a recipient of the inaugural Premier Business Women of Long Island award. The Premier Business Women of Long Island award celebrates high-level female business leaders making an impact on Long Island. Honorees are chosen by a committee based on their strength and passion to champion and lead both their organization and their community. The event is presented by Richner Communications, Inc. in conjunction with Herald Community Newspapers. 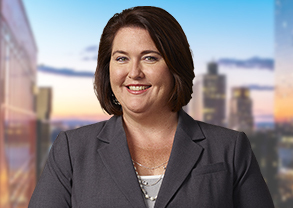 Deegan Dickson concentrates her practice in the areas of real estate development matters, and in particular, land use and zoning law. She is former counsel to the city of Glen Cove Planning and Zoning Boards, and currently represents developers, property owners, corporations, and individuals in matters involving real estate property transactions, zoning, and land use. She is a graduate of Providence College and St. John’s University School of Law. She is a member of the American Bar Association, New York State Bar Association, Nassau County Women’s Bar Association, and Women Economic Developers of Long Island.